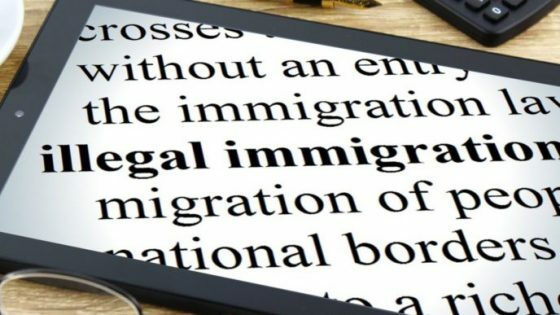 The USCIS is authorized to cancel any Certificate of Citizenship or Naturalization in cases where evidence provided to government documents is proven false. Just 5 days ago: U.S. Citizenship and Immigration Services (USCIS) assisted in an investigation that led to U.S. District Judge Virginia M. Hernandez Covington sentencing Enite Alindor, also known as Odette Dureland, to five months in federal prison. The 55 year-old woman was sentenced for making false statements in a matter relating to naturalization and citizenship and for procuring naturalization as a U.S. citizen. As part of her sentence, the court also entered an order de-naturalizing her, thus revoking her July 2012 naturalization as a U.S. citizen. A federal jury had found her guilty on March 1, 2018. According to court documents, Alindor, a citizen of Haiti, applied for asylum with the Immigration and Naturalization Service (INS) in Miami in 1997. After the INS denied that application, the United States Immigration Court ordered her to be removed from the United States. Shortly thereafter, Alindor presented herself to the INS as Odettte Dureland and filed for asylum protection under that new identity. She concealed the fact that she had previously applied for status in the United States as Enite Alindor and she concealed the fact that she was under a final order for removal from the United States. USCIS personnel, unaware of the Alindor identity and order of removal, approved Dureland for citizenship in July 2012 and she was naturalized as a U.S. citizen under that name in July 2012. How about this one from January? Iyman Faris is set to be released from prison in 2020 after serving 17 years behind bars for terrorism-related charges stemming from a plot to destroy the Brooklyn Bridge. By the time he gets out, American authorities hope he will no longer be able to call the U.S. his home. The Justice Department has filed a lawsuit to try to strip the Pakistan-born Faris of his citizenship, which he obtained in 1999, saying it’s an affront to allow him to continue to be an American citizen. It’s just the type of case authorities say they expect to pursue more frequently under President Trump and Attorney General Jeff Sessions. “The attorney general and the administration are focused on enforcing all immigration laws, especially when it comes to this pinnacle level of citizenship,” said one Justice Department official, who spoke on the condition of anonymity. AG Sessions is holding true to his mission on immigration. (AP) — The U.S. government agency that oversees immigration applications is launching an office that will focus on identifying Americans who are suspected of cheating to get their citizenship and seek to strip them of it. Cissna said the cases would be referred to the Department of Justice, whose attorneys could then seek to remove the immigrants’ citizenship in civil court proceedings. In some cases, government attorneys could bring criminal charges related to fraud. Until now, the agency has pursued cases as they arose but not through a coordinated effort, Cissna said. He said he hopes the agency’s new office in Los Angeles will be running by next year but added that investigating and referring cases for prosecution will likely take longer. He declined to say how much the effort would cost but said it would be covered by the agency’s existing budget, which is funded by immigration application fees. In September 2016, an internal watchdog reported that 315,000 old fingerprint records for immigrants who had been deported or had criminal convictions had not been uploaded to a Department of Homeland Security database that is used to check immigrants’ identities. The same report found more than 800 immigrants had been ordered deported under one identity but became U.S. citizens under another. Toward the end of the Obama administration, officials began reviewing cases stemming from the fingerprints probe but prioritized those of naturalized citizens who had obtained security clearances, for example, to work at the Transportation Security Administration, said Muzaffar Chishti, director of the Migration Policy Institute’s office at New York University law school. “It is clearly true that we have entered a new chapter when a much larger number of people could feel vulnerable that their naturalization could be reopened,” Chishti said.